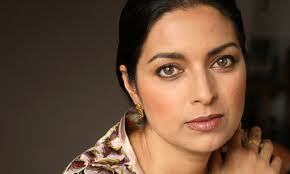 Washington, Nov 21 (IANS) Pulitzer Prize winning Indian-American author Jhumpa Lahiri’s new novel, “The Lowland” failed to win the 2013 US National Book Award in fiction losing out to author James McBride. McBride’s “The Good Lord Bird”, about the journey of a young slave in the 1850s scored over Lahiri’s tale of two brothers set in Kolkata of the 1960s. Other fiction finalists were Rachel Kushner for “The Flamethrowers”; Thomas Pynchon for “Bleeding Edge”; and George Saunders for “Tenth of December”. The annual awards, presented by the National Book Foundation, honour American authors for published works over the past year in fiction, nonfiction, poetry and young people’s literature. London-born daughter of immigrants from West Bengal, 46-year-old Lahiri, who lives in New York’s Brooklyn last month lost out on the prestigious Man Booker Prize for contemporary fiction writers from the Commonwealth and Ireland. “The premise of her new novel, ‘The Lowland,’ in contrast, is startlingly operatic,” the influential US daily said calling it “certainly Ms. Lahiri’s most ambitious undertaking yet”, that “eventually opens out into a moving family story”.